School is almost in session and that means it’s time to get back on a schedule, including a workout routine. I’ve taken the “lazy days of summer” very seriously. Emphasis on the lazy part. One way I help motivate myself with things like waking up early and going for a run, is to Add Sparkle to my life. How do I add that sparkle? By surrounding myself with things that are pretty, make me feel good and put a smile on my face. 1. Wear workout clothes that make me feel awesome. For me personally, there’s something about a ratty old t-shirt and holey shorts that just doesn’t cut it. If I’m going to be motivated to get out of that bed in the morning, putting on workout clothes that are stylish, full of color and fit just right is important. 2. Wear great shoes. I have two pairs of running/workout shoes. They’re both pink! 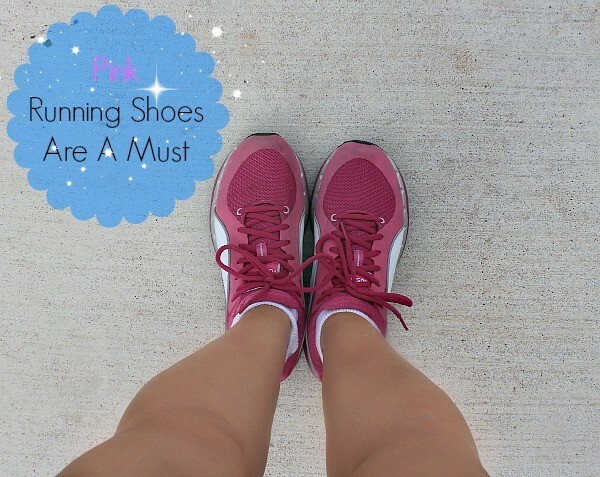 I don’t know what it is about pink running shoes, but they make me Happy with a capital H. When I slip those on at 6 a.m. in the morning, it just helps. I don’t just wear pink on Wednesdays. 3. Listen to some motivating tunes. 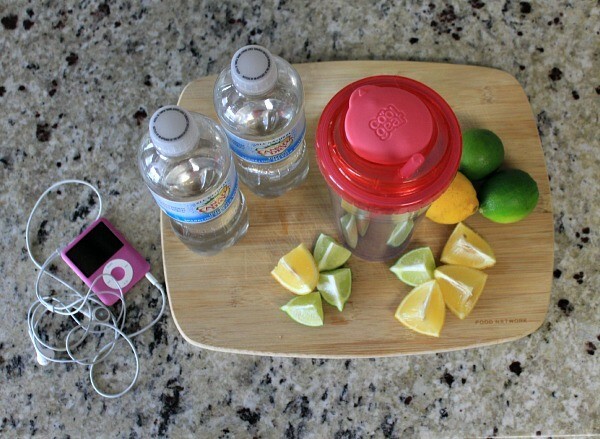 You see that old school iPod in the picture above? Yes, it’s pink. Ha! Not only is it pink, but it is filled with music that gets me going and motivated. I leave my iPhone at home so I’m not tempted to check emails. Yes, it’s an addiction. I have actually checked emails while jogging! Not cool Julie. 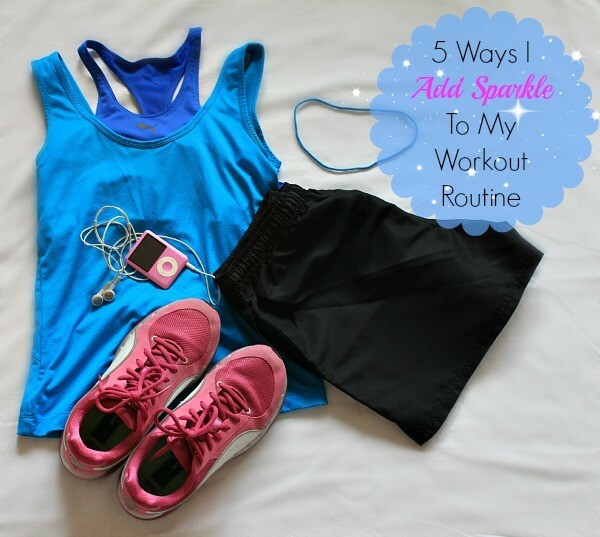 I #AddSparkle to my workout with music and no other distractions. 4. Stop and take a minute to notice the sunrise. I have a bad habit of always being in a hurry. It’s something I’m really working on. I catch myself doing it all the time and I have to tell myself to SLOW DOWN. Taking a minute in the morning to stop, look up and soak in that gorgeous sunrise sets the mood for my day. 5. Reward myself with a tasty drink. 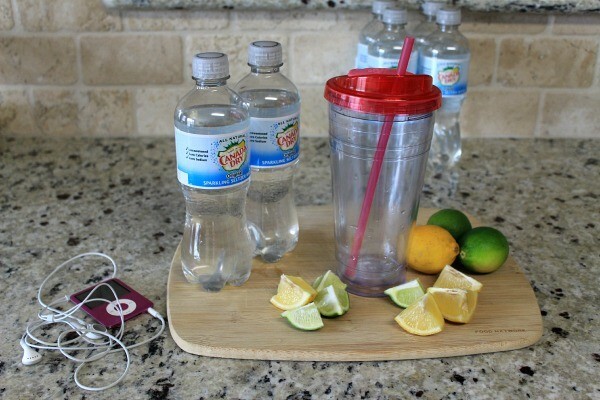 I drink a glass of regular water before I workout, but some days I like something a little extra when I’m done. A glass of Canada Dry Sparkling water with slices of lemon and lime is so refreshing. It definitely adds some sparkle to my day. If the photo above didn’t make you thirsty, maybe this video will. It looks tasty and sparkly doesn’t it? I found the Canada Dry Sparkling Water at Walmart. It’s located by the flavored carbonated waters. 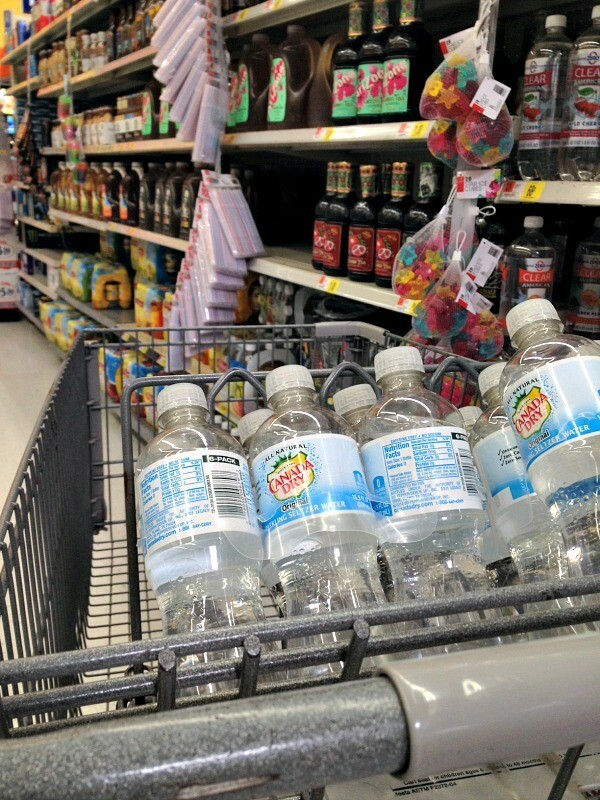 I picked up the original seltzer water, but they also have flavors like lemon lime and pomegranate cherry. 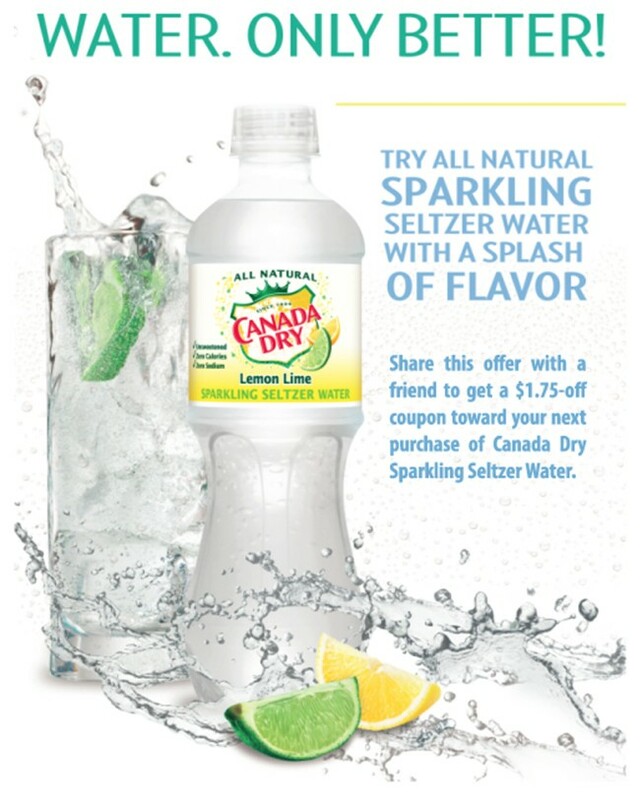 If you would like to head to Walmart and find the Canada Dry Sparkling Seltzer Water for yourself, print this $0.75 coupon before you go. I love saving a little money, don’t you? What are some ways you Add Sparkle to your life? Maybe you have a planner you love to write in and schedule your week. Or there’s a certain thing you do every morning that gets you going. Whatever it is, I would love to hear about it! Previous articleNew Styles from ModCloth You’ll Want in Your Closet Right Now (And They’re 40% Off)! Ugh. Working out. Did you have to remind me? JK. 🙁 I need to get back in the groove too. We start school Monday as well and it’s the perfect time to start again. Found you via your coffeemate giveaway. Great tips. I started working out agaiin last week. It feels great once you get back into a routne. Good luck!